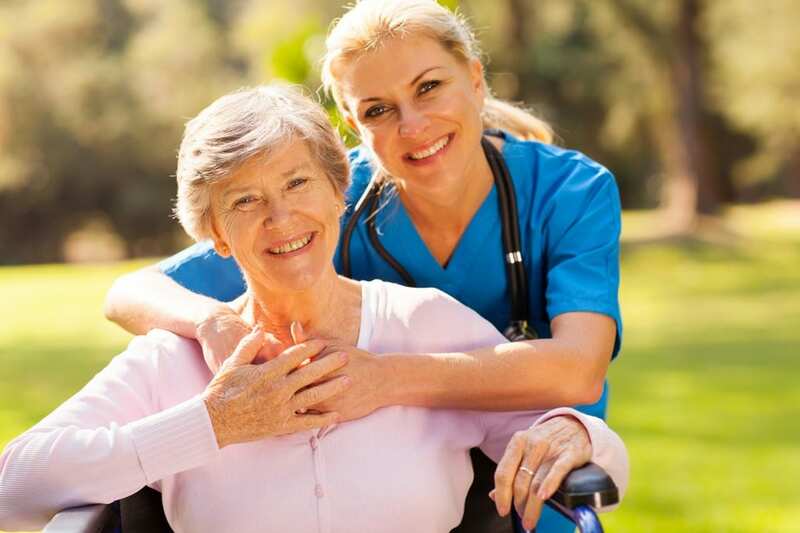 In Arizona, including the city of Phoenix, nurse assistants must complete a state-approved program and pass the state nurse aide evaluation in order to obtain licensure. Approved programs offer a minimum of 75 hours including classroom training and clinical hours at a skilled nursing facility. The Arizona Board of Nursing oversees and approves nurse aide training programs. Upon completion of the training, graduates are eligible to take the state evaluation exam administered by D&S Diversified Technologies. Browse the list of programs below to find a state accredited training program. Gateway Community College’s Certificate of Completion (CCL) in Nurse Assisting prepares students to excel as Certified Nurse Aides at hospitals and nursing homes. The program provides a balance of classroom instruction and clinical laboratory. Graduates of the program are eligible to take both the written and skills components of the state nurse aide evaluation. While the training gives all the tools necessary to obtain state certification, licensing approval is the sole responsibility of the Arizona State Board of Nursing. Applicants must present a high school certificate or GED, a current health care provider CPR card, negative drug and TB test, proof of immunization and assent to a criminal background check before admission into the board accredited program. The 6-credit class costs $504 for in-county residents and does not include the cost of textbooks, registration fees, and supplies. Brookline’s Nursing Assistant training prepares students for an entry-level position as a certified nurse aide in the health industry. The program exceeds the requirements outlined by the Arizona State Board of Nursing. At the end of the 146-hour program, graduates are eligible to take the board of nursing certification exam. The training consists of three components: a classroom course covers 77 hours, lab consists of 29 hours, and clinical skills cover the final 40 hours of training. During the clinical experience, students work in a long-term care setting to apply the knowledge and skills learned in the previous segments of the training. Contact the school for details on class schedules and tuition. Metro Tech high school students can enroll in the Nursing Assistant course in their year and complete the requirements for the state exam by their senior year – two years. Graduates are eligible to apply for the Arizona State Board of Nursing Certified Nursing Assistant Exam to work as a CNA in acute care and long-term care settings. The curriculum will cover measuring vital signs, personal care skills, first aid and CPR, communication skills and interpersonal relationships, observation and reporting, infection control, and patient rights. A clinical experience in a hospital or health care facility and exam preparation are also included in the curriculum. Credits from the program are transferable to a community college program in nursing. Job Corps America provides career training to young people between the ages of 16 to 24 years. Due to funding from the US Department of Labor, the program is free for students and parents. With more than 100 hours of training in the classroom and hands-on experiences in a clinical setting, students develop basic nursing skills which prepare them to provide direct patient care. Job Corps training is self-paced and includes preparation for the world of work. Core program courses include basic nursing skills, personal hygiene, nutrition and feeding, positioning and transfers, personal hygiene, first aid, medical terminology, CPR, emergency procedures, and infection control. Career training includes communication, interview techniques, resume writing, and workplace ethics. Once accepted to the program, students will benefit from free tuition, books, supplies, and uniform. Job placement assistance will be provided after the student completes the requirements for state certification. The Nurse Assisting program at Paradise Community College prepares students for entry-level employment in a long-term, acute care, or home health care setting. The curriculum combines classroom and clinical lab at the college campus followed by practical patient care experiences at a skilled nursing home. Graduates will receive a certificate of completion from Paradise Valley Community College and are eligible to apply for the written and skills components of the state certification exam. Applicants must attend a scheduled information session, complete the application packet, submit a copy of the Level One Fingerprint Clearance Card, submit a copy of their CPR for the Healthcare Provider card, obtain background check clearance, take the entrance exam or submit transcripts to show completion of a college reading/writing course, and provide proof of immunizations – Varicella, MMR, TDap, influence, and TB skin test. The program is regulated by the state and federal government so full attendance is mandatory. The goal of the nursing assistant program at SCSN is to produce caring nursing assistants who will be able to demonstrate competence and commitment to patient care and ethical practice. New classes begin every month and run for 3 to 5 weeks depending on the schedule. Full-time day classes meet from Monday through Friday from 9:00 am to 5:30 pm. Part-time schedules: Monday through Thursday from 9:00 am to 1:00 pm or 5:00 pm to 9:00 pm are also available. Experienced instructors guide students through the intensive curriculum which involves didactic training in the classroom as well as practical experiences in the clinical setting. Tuition for the program is $650 and includes the use of lab equipment and textbooks. A flexible payment plan is open to all students. Graduates of the Board approved program are eligible to apply for the state CNA competency exam. CollegeAmerica prepares students enrolled in the Medical Specialties program to make a difference in the lives of others. More than the traditional nurse aide program, students develop medical assisting, pharmacy technology, and phlebotomy skills to fill several entry-level positions in the medical industry. The curriculum will prepare students for certification or licensing in several medical professions. Topic covered in the 100.5-credit program include professional medical coding, fundamentals of anatomy, medical records on communication, medical laboratory procedures, nurse assisting theory and practice, medical terminology, law and ethics, medical assisting procedures, phlebotomy, ECG, pharmacy essentials, drug administration, insurance specialist, and much more. Students will complete the career-focused program in 20 months and earn an associate of occupational studies degree. Tuition for the program is $42,411. Financial aid is available through Federal loans. The Certified Nursing Assistant Training program at Medstar prepares students for success on the AZ State Board of Nursing exam to become a Certified Nurse Assistant. The school offers excellent pass rates, a moderately-paced 6-week training, small class sizes for personalized instruction, and on-site state exam. Persons seeking to enter the program must be at least 17 years old, pass an admissions test, provide proof of citizenship and a copy of their social security card, obtain health clearance, and have no felony convictions within the last five years. Health requirements for the clinical externship are DPS fingerprint clearance, TB clearance, AZBN fingerprinting, CPR certification, and an acceptable drug screen. The 120-hour curriculum includes 80 hours of instruction in the classroom and skills lab followed by 40 hours of clinical training at a licensed health care facility. The program’s tuition of $1,180 includes registration, gait belt, AZBN fingerprinting, uniform top, BP cuff, and stethoscope. Textbook, DPS fingerprinting, CPR, and the state exam will cost extra.